From Goodreads.com: "Neda is born in Tehran’s Evin Prison, where her mother is allowed to nurse her for a few months before the arms of a guard appear at the cell door one day and, simply, take her away. In another part of the city, three-year-old Omid witnesses the arrests of his political activist parents from his perch at their kitchen table, yogurt dripping from his fingertips. More than twenty years after the violent, bloody purge that took place inside Tehran’s prisons, Sheida learns that her father was one of those executed, that the silent void firmly planted between her and her mother all these years was not just the sad loss that comes with death, but the anguish and the horror of murder. 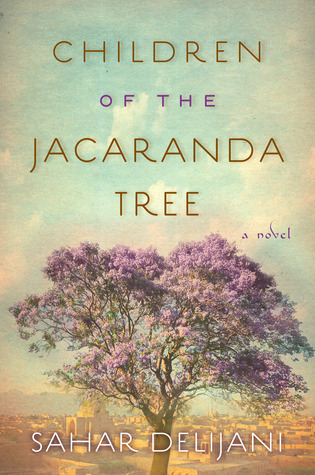 These are the Children of the Jacaranda Tree. Set in post-revolutionary Iran from 1983 to 2011, this stunning debut novel follows a group of mothers, fathers, children, and lovers, some related by blood, others brought together by the tide of history that washes over their lives. Finally, years later, it is the next generation that is left with the burden of the past and their country’s tenuous future as a new wave of protest and political strife begins." "Children of the Jacaranda" is set against the back-drop of post-revolutionary Iran from when the revolution was occurring until fairly recent times. It is the story of family and the ties that bind and also of family secrets that were hidden in order to try to protect some family members from the truth. This book started off quickly for me with a lot of action and while some parts in the middle were definitely a little slower as the family stories emerged, I still really enjoyed this book. I really like armchair traveling, guys. Even though Iran is still fairly dangerous for an American to visit and therefore, I probably would not visit any time soon, I really loved getting a good feeling for what the country must have been like in the past and after the revolution. Delijani does a fantastic job of evoking place in this book. There are many different characters in this book and not too much individual detail and therefore, I did not really grasp on to a single one. 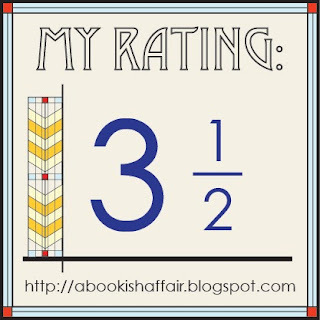 The book is more about various experiences and not so much about a single character. This book deals with difficult subjects regarding war and families divided by war and is definitely a little sobering but this is a good portrait of a family in times of crisis. I like the story and love the cover and title more! I have this book and cannot wait to read it!